Sudan Airways, the national airline of Sudan, is based at Khartoum International Airport. 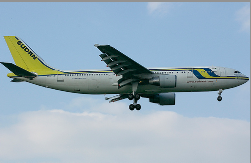 The carrier operates scheduled domestic services as well as flights to destinations in North Africa and the Middle East. By Capa Aviation.